I love the technological advances of the past few decades because the revolutionary advances in digital technology and distribution have set us on the path to a new cultural golden age. The key ingredient to any golden age is the ability to share many creative works culture with as wide an audience as possible. This is the kind of flood of creativity that formed the Golden Age of Science Fiction, which coincided with the widest possible array of science fiction magazines. The Internet provides today’s rich soil for cultivating creative and cultural growth through offerinf an unprecedented expanse of inexpensive accessible distribution for any art that can be reproduced digitally. The flip side is that this jeopardizes the “Creative Industries” stranglehold on culture, so considerable economic might is being applied to convince governments the world over to pass laws that will enable continued cultural dominance through technological controls. These Industries don’t want a golden age of culture they can’t profit from, so they seem affronted when money bypasses them to land in the pockets of an independent artists, musicians, filmmakers or writers. They used to have total control, because they controlled the only way creators could connect with wider audiences through this corporate distribution. Now they claim these laws are necessary to combat ‘piracy’ and they equate potential lost sales with actual losses to ‘prove’ this dubious proposition. This strikes even the mathematically challenged like myself as being rather silly. But my skepticism doesn’t stop these industries lobbying hard to influence copyright and patent legislation (as well as trade agreements like ACTA) that will allow them to regain absolute anti-competitive control of their industries. The first was a law called the DMCA in the United States, and since that time organizations like the EFF, Public Knowledge and KEI have been fighting it over the 10+ years of its existence. Other countries have passed similar or worse laws, and this year it seems to be Canada’s turn. 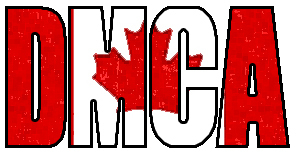 The first Canadian attempt to copy the DMCA was draft legislation called Bill C-60 that was initiated by the minority Liberal government. There was virulent opposition to this bill, which died when the Liberal minority was replaced with a Conservative minority. The outside influence became immediately apparent when the new Conservative Government unveiled Bill C-61. Although not quite as harsh as Bill C-60, it was clearly a new incarnation of the copyright law the American Copyright Lobby wants in place in Canada. Canadians did not want this law. 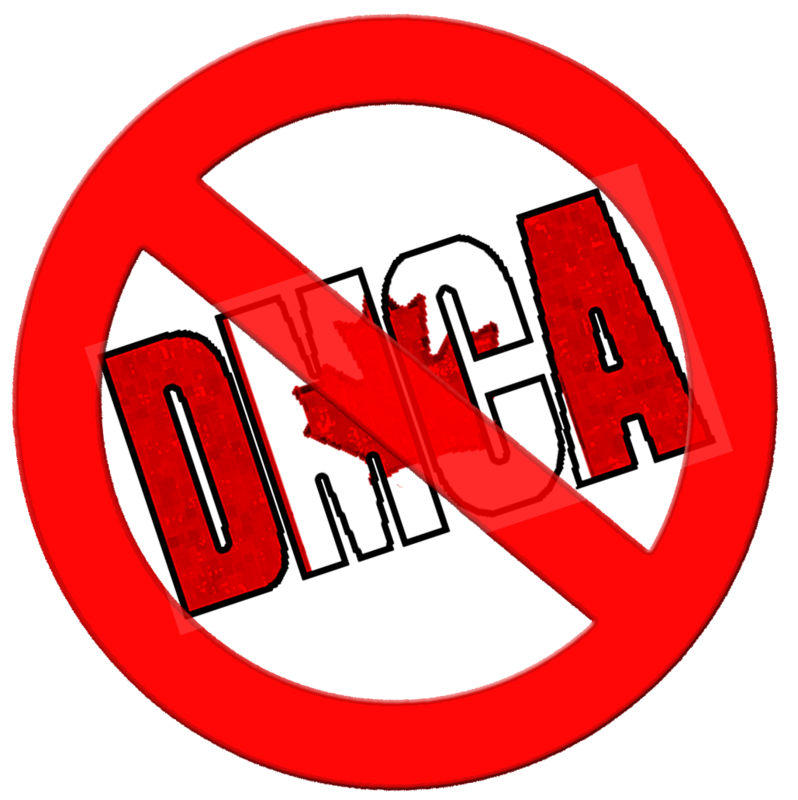 The universal opposition to this new attempt at a Canadian DMCA was just as strong, but it never came down to the wire. Again the draft legislation did not pass into law because there was another election. Although the Conservative Party was returned to power, it was again a minority. Instead of trying to push through copyright in the face of a strong opposition, they instead held a Canadian Copyright Consultation. All Canadians were allowed to participate. But instead of the usual few hundred responses typical of this kind of government consultation, the “CopyCon” received thousands of written submissions from citizens all across Canada. The written submissions were posted online, and I began reading them, which got me to thinking about copyright. So I added my voice to the more than 8,000 Canadian submissions. After months of waiting, the Conservative Government’s (then) Industry Minister Tony Clement and Heritage Minister James Moore trumpeted their “made-in-Canada” copyright solution. In what was surely unintentional irony, their press conference unveiled Bill C-32 in the Montreal branch plant office of an American software company. The Conservative government continues to insist that they took the copyright consultation response into account in drafting this law. And Bill C-32 did make some good clarifications to Canadian copyright law as suggested by many submissions. But the “digital lock” provisions are directly contrary to almost all of the copyright submissions. The one thing almost all interested parties agree on, no matter where they stand in the copyright spectrum, is the problem of digital locks. And again, like many other Canadians, I made a submission to the legislative committee regarding Bill C-32. And again, Bill C-32 was stopped due to yet another federal election. And now the Conservative government has a majority of the seats in parliament, even if they were won with a mere quarter of the vote. (Canada badly needs electoral reform, but that’s another story.) The Conservatives promised to resurrect Bill C-32, and they have, it was dusted off word-for-word and is now called Bill C-11. Because it is the same as C-32, the new government decided to limit submissions to interested parties who had not already submitted opinions to the Bill C-32 committee. The reality is that the Conservative Government does hold the power on paper to pass this law in the face of all opposition. And the government has been under a great deal of pressure from the American Government. Still, the decimation of Brian Mulroney‘s Progressive-Conservative Party is recent enough to give even a majority government cause to pause and consider the risks of engaging in universally unpopular behaviour. If digital locks are the most powerful element of copyright, they could lock independent content creators out of digital distribution. Digital Rights Management, Technical Protection Measures, or Digital Locks are means to prevent us from using the digital media or devices we have purchased as we see fit. These digital locks favours the intellectual property rights of the copyright/patent owner over the physical property rights of the purchaser/owner. To find out more about this, check out the EFF’s Defective By Design initiative. When I say there is “almost” universal opposition to digital locks, the only voices raised in support of the digital lock legislation have been mounted by the Industry that seeks to benefit from the legislation. Last year their attempts to mount an astro-turf site was outed by Jesse Brown. The site still exists, but is now known to be an industry lobby site. The fact remains that all other Canadians who are aware of the issue and understand the digital lock provisions are opposed to them. These digital lock provisions make it illegal for Canadians to tamper with digital locks, even if we are breaking the lock in order to access content we are legally entitled to access. Most opposition to the digital lock provisions (and thus, Bill C-11) would go away if they were linked to infringement. But so far the government has remained adamant about not budging on the digital lock provisions. Right now our federal government is on the verge of passing a new copyright law that will benefit Hollywood but not Canadians. Whether you’re a copyright maximalist or minimalist, if Bill C-11 is passed as it stands, writers (and all Canadian digital creators) will lose any authority over our digital works to software distributors and device manufacturers, because they will control the digital locks (DRM/TPM). This will impact on how Canadians can self publish. Because Bill C-11 makes digital locks (DRM/TPM) the most powerful element of Canadian copyright law. Because our majority government can pass any law they like, public opinion offers citizens the only possibility of stopping Bill C-11 from being passed as is. So, as much as I need to be getting on with my own work, I must continue to try to raise awareness of this issue online. Let the government know what you think of Bill C-11. It is perfectly acceptable to send the same letter to all concerned, and although postal mail is taken more seriously, email is increasingly acceptable, particularly when time is of the essence. When is this bill supposed to pass? There was talk of passing Bill C-11 before Christmas, but fortunately that didn’t happen. A good place to check is Russell McOrmond’s Conservative Copyright Bill C-11 which has relevent links including the government LEGISinfo site.